I saw the inspiration for these on Pinterest. I have had an obsession lately with chocolate covered strawberries. The original recipe can be found here. The recipe on that website uses chocolate chips. I decided to use the Baker's Dipping Chocolate that comes in a cup and you just pop in the microwave. The original recipe also suggests using an egg carton to place the strawberries in so that they can harden while being upright. I decided to pop mine into some shot glasses. They worked perfectly. 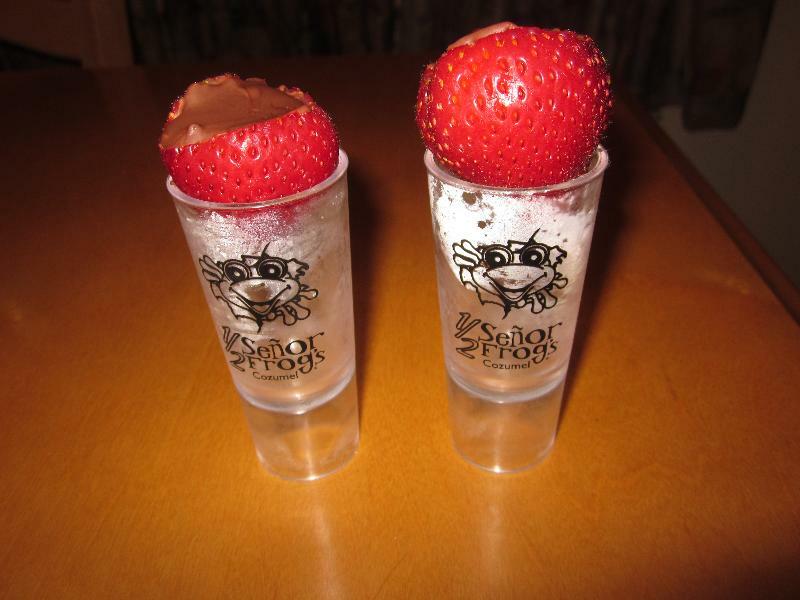 It would be fun to serve a shot with the chocolate filled strawberry on top. 2. Cut off the stems and scoop out the inside of the berry. The more that you scoop out the more chocolate you can put in! 4. 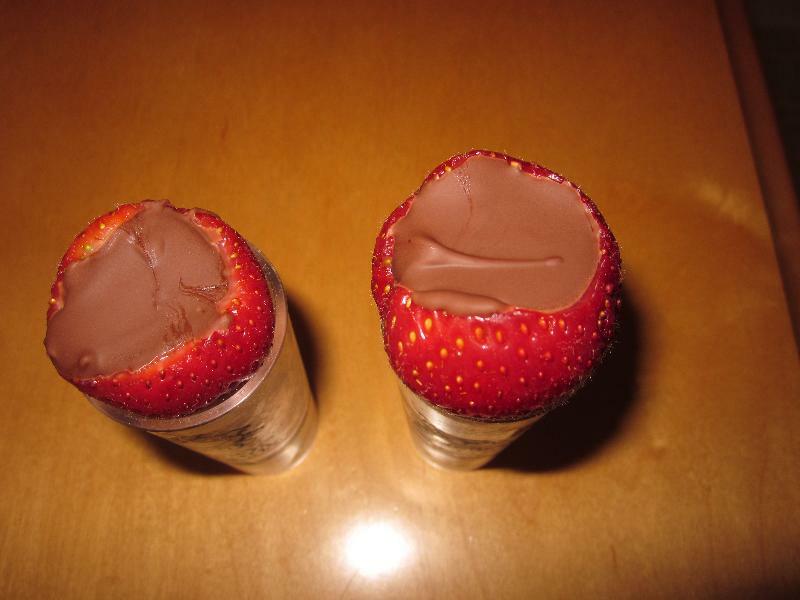 Place the chocolate filled strawberries into the fridge until they harden. About 20 minutes.